If you have any enquiries regarding bookings, community events, volunteer involvement or feedback, please get in touch using the form below. If you’d prefer to call, our contact person/booking officer, Ms Trish Strange, generously volunteers her time and can be contacted between 8am and 8pm on 0438 897 225. The hall is about a 30 minute drive north of Lismore (a regional airport), 15 mins east of Kyogle, 40 mins south west of Murwillumbah and is about a 1 hour drive from Gold Coast and Ballina airports. 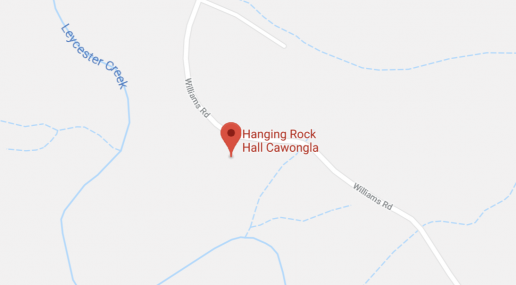 Click here to find the hall on Google Maps.